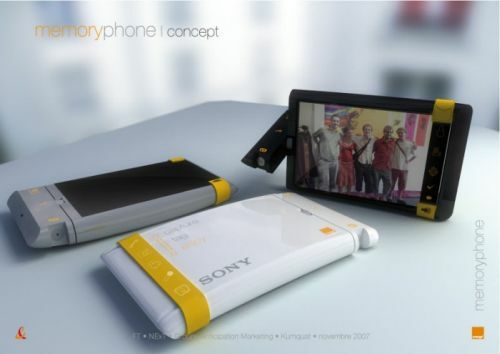 There aren’t many details about the concept phone below, except for that Sony and Orange branding, but I have to say that the Memory Phone’s design looks spectacular. It was created by Dominique Herbillon and to me it seems a state of the art device for social networkers who like to take pics, tag them and post them on their profile pages. As you can notice, the phone’s input system is based on a yellow scroll bar that gives you access to the device’s main functions. I’m really curios if the handset’s display is a touchscreen as the above-mentioned input method is kind of limited. Also, I can imagine that the rotating part of the device includes its camera and hopefully it’s got a resolution larger than 2 megapixels.